Advocates of legalized online poker have been at work in California since 2009. After the Unlawful Internet Gambling Enforcement Act (UIGEA) was passed in 2006, the topic was on the minds of California legislators to become the first state to regulate the game within its borders. 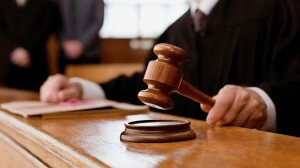 Efforts to legalize online poker in California and regulate the industry have been introduced each year, but the situation became more urgent after Black Friday in 2011, when the US Department of Justice used the UIGEA to force PokerStars and other online poker sites out of the American market via indictments and penalties. The Poker Players Alliance continued to push for California online poker, and the California Nations Indian Gaming Association began discussions with Assemblyman Adam Grey to advocate for his AB 431. That bill introduced a new element to the debate with a $60 million proposed payment to the horse racing industry in exchange for the powerful lobby to drop its opposition to online poker. Upon missing a key February deadline, Gray filed a new bill – AB 2863 – which was loosely based on the last one. CNIGA and several tribal organizations stepped up in support of the bill, but it stalled. In April however, the bill garnered new life when it was scheduled for a late-April hearing in the California Governmental Organization Committee. There was an amendment to the bill that removed a requirement that the Appropriations Committee must approve it, but there was also new wording giving further debate to a potential bad actor clause, which would prevent PokerStars from obtaining a license. This subject came into play after tribes and legislators expressed concerns about Amaya CEO David Baazov being investigated for insider trading charges in Canada. The direction of the debate is difficult to predict, but some in the state are determined to legalize and regulate the industry in some form, possibly before the end of 2016. Legislators worked on a draft of the California Online Poker Law Enforcement Compliance and Consumer Protection Act to legalize and regulate the industry within state borders. It did not officially become a bill. State Senator Roderick Wright introduces the first online poker bill called the Internet Gambling Consumer Protection and Public-Private Partnership Act of 2010. The bill never made much progress, as Wright became embroiled in a legal fight when indicted on eight charges related to voter fraud. Still in office, Wright reintroduced his Internet Gambling Consumer Protection and Public-Private Partnership Act of 2011 at the beginning of the year. Little agreement between Indian tribes and card rooms, however, prevented much movement on the bill. Wright again revamped his bill for a 2012 introduction to the legislature, but further problems between tribes and card rooms stalled the bill again. After Wright introduced yet another version of his same online poker bill for 2013, that was overshadowed by State Senator Lou Correa’s effort, which consisted of the Authorization and Regulation of Internet Poker and Consumer Protection Act of 2013. As in years past, however, little agreement on details of the industry killed the bill. Correa continued efforts by introducing the Internet Poker Consumer Protection Act of 2014, also known as SB 1366. And Assemblyman Reggie Jones-Sawyer introduced a similar bill – AB 2291 – by the same name. A hearing in the Assembly Committee on Governmental Organization was held and appeared to view online poker as positive for the state. Neither bill moved further. New advocates emerged for online poker in California. Assemblyman Adam Gray authored AB 431 and State Senator Isadore Hall co-sponsored the bill. Two other bills were also active in the Assembly. Progress seemed likely when PokerStars announced the formation of a coalition to advocate for online poker in California. The group – Californians For Responsible iPoker – included the Morongo and San Manuel tribes, as well as Bicycle Casino, Commerce Casino, and Hawaiian Gardens card rooms. PokerStars also led a pro-online poker campaign through the state and to the state capital to inform legislators and players about the safety of regulated online poker. What is the current status of online poker in California? It is not legal. There have been ongoing efforts to legalize and regulate online poker in California since 2009, but no bill has been able to pass as of April 2016. Is live gambling legal in California? Yes. Card rooms were legalized in California in 1998 per the Gambling Control Act that allowed various card games with strict rules to be played in establishments throughout the state. Live poker was among the games allowed. And in 2000, Proposition 1A was passed by the state’s voters to allow tribes to build and run casinos with more games, including slot machines and other options found in Las Vegas casinos. Can California residents play on any legalized sites in other states? If California residents are within the borders of Nevada, New Jersey, or Delaware, they are allowed to play on the Internet poker or casino sites available in those respective states. However, they are prohibited from doing so from any location in California. What are grey market sites? Grey market online poker sites are those based outside of the United States but offering online poker to US residents without proper licensing. Players on those sites risk losing their funds if the sites go out of business due to the lack of regulation overseeing the player funds. Most experts in the online poker industry recommend staying away from playing those sites for real money. Are play-money sites legal in California? Yes. Players can access the play-money online poker sites offered by PokerStars, 888poker, and others to compete for chips and fun. Is there any chance for online poker legislation in 2016? California Assemblyman Adam Gray has been working hard throughout the first few months of 2016 to find agreement among all parties on the topic of online poker. Debate is ongoing with tribal entities, card room representatives, online poker companies, the horse racing industry, and legislators to find agreement that will result in the passage of an online poker bill. What is a bad actor clause, and why does it matter? A bad actor clause in an online poker bill calls for the prohibition of any online poker site that offered its real-money services to US residents after the passage of the UIGEA in 2006. Basically, a bad actor clause applies only to PokerStars and Full Tilt. Bad actor clauses were dropped from online poker efforts in recent years, but the debate resumed in 2016 due to legal complications involved insider trading charges against the CEO of PokerStars’ parent company Amaya Gaming. Could California share online poker liquidity with other states like Nevada? Yes. Interstate agreements are possible if the law allows. Nevada and Delaware already have such an agreement, and New Jersey is said to be discussing the same with Nevada. California legislation will likely allow that possibility in the future. What happens if the US Congress passes online poker legislation? If both houses of Congress and the President of the United States support a bill to legalize and regulate online poker, California would be able to participate in that new industry. Each state would have the ability to opt out of the new network, but California would be unlikely to do that. A federal bill has not been attempted recently, however, and has strong opposition in members of Congress who are supported by casino magnate and online poker opponent Sheldon Adelson. How do I tell my legislators to support online poker? Contact the Poker Players Alliance at ThePPA-dot-org for information regarding actions to take in California via telephone, email, and social media.